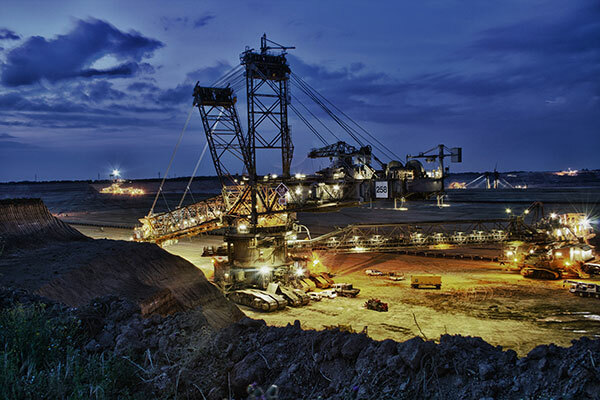 Outsource Manufacturing Keeps the Mining Industry Digging - P.D. Peterka & Associates, Inc. The mining industry involves heavy, durable machinery that can withstand extreme force over and over when digging through layers of bedrock. However, unless we start carving machined parts out of Captain America’s shield, they’re going to wear down at some point. Without durable machined part replacements, one worn out guard or gear can result in significant work stoppage for the mining industry. In order to keep miners digging for the essential metals and minerals we need in our everyday lives, PD Peterka has been providing replacement machined parts to a major mining corporation for the last few decades. What kinds of essential parts require replacement most often? In this case, our mining industry customers wear through guards placed within the internal workings of heavy digging machinery. Those guards allow machine operators to carve through layers of rock, top soil, and most other obstructions in the way of reaching valuable resources. Though these parts seem like a small component of a much larger operation, they are essential to getting the job done and the end of the day. Replacing worn out parts with inferior guards, or delays in shipments of newly machined replacement parts also disrupts the miners’ schedules significantly and force them to spend more money over time to make up for lost hours and additional replacement parts. This is why having a trusted outsource manufacturer of machined parts is incredibly valuable to the mining industry: reliable machine shops keep the mining industry’s overhead costs down as well as keeping them on schedule. What keeps our friends in the mining industry coming back year and year for outsourced machined guards and replacement parts is our commitment to quality and timely delivery. Though all guards eventually wear out, PD Peterka’s quality standards the need for premature replacement. In an industry where it’s extremely difficult for small machine shops to have hundreds of pieces of machined parts on hand as soon as a customer requires them, we have been able to deliver the product on time, every time, which ensure that our customers never lose money from poorly executed logistics. As machinists and outsource manufacturers, we’re proud of every machined part we produce, and continue to do our part to keep the mining industry digging. If you have more questions on how we provide the mining industry essential machined parts, or would like to learn more about the outsource manufacturing process, contact us, and one of our expert staff members will field your questions.